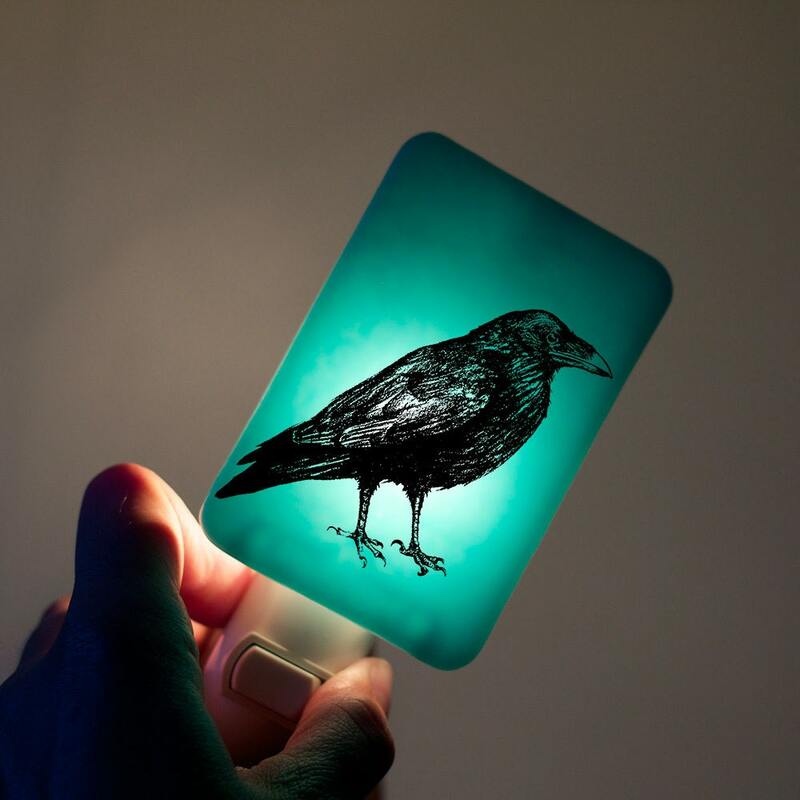 A handcrafted, beautifully illustrated raven on a vivid aqua blue background... This majestic raven is an original illustration by Tracy Bull--we are proud to not use any pre-fab imagery or decals in our work! Comes with a gift box, as shown in the last photo. 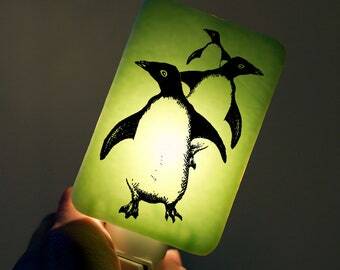 Absolutely beautiful nightlight! Exceptional quality & it looks so pretty when the light is on. The hedgehog is adorable and my daughters love having it in their room. Thank you! Custom nightlight with exquisite detail, color & design. Purchased as a Christmas gift. Rapid shipping! Purchased for a Christmas gift. Color & design are perfection! Rapid ship!